Home » Marie Menessier-Nodier in Maja costume. Marie Antoinette Élisabeth Ménessier-Nodier (1811 – 1893) was a French writer and daughter of Charles Nodier. She worked at the work Scènes de la vie privée et publique des animaux (“Images from the state and family life of animals”) of the French Draftsman and caricaturist Grandville (1803-1847) with. She also wrote a biography of her father. 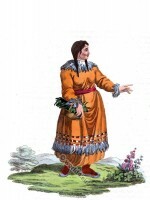 Marie Menessier-Nodier. 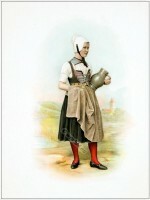 Femme de lettres. 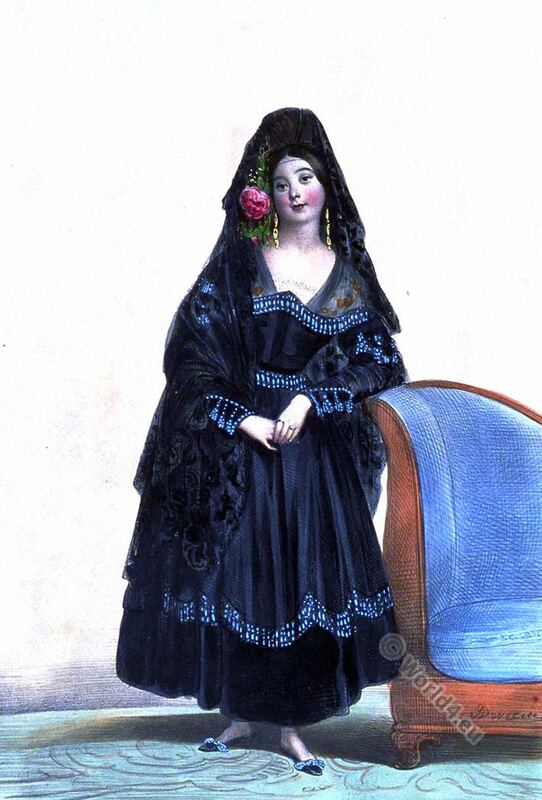 Dame Espagnole en costume de Maja. Scottish woman costume 14th century. A man in Serbian traditional costume from Karlobag. 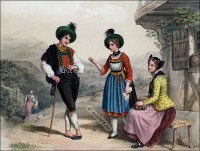 Switzerland costumes from Canton Grison and Canton St. Galle, 1860.